Situated in the middle of the harbour promenade in Ibiza Town's old fishing quarter, Number 5 is a stand-out lounge bar that's both chic and hip. Its cocktails are knockout, decor a delight and the staff is super-friendly. 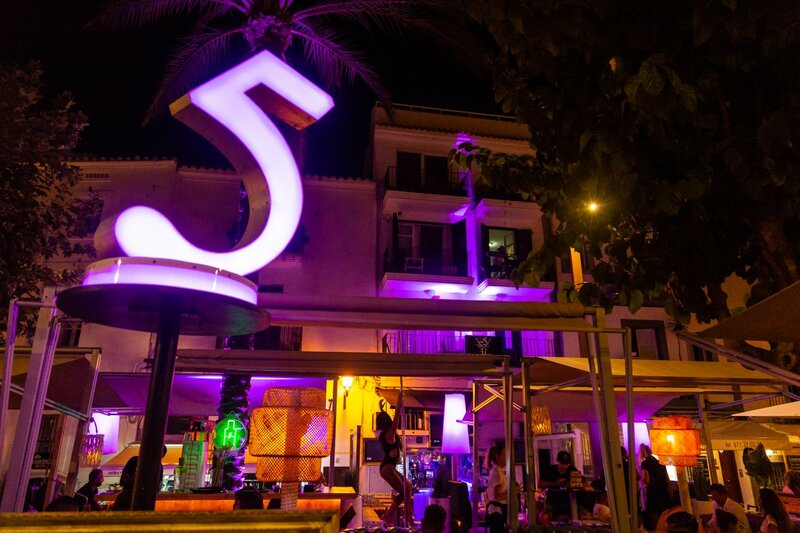 Number 5 is a stylish port-side bar with a living room feel in the middle of the action in Ibiza Town's harbour. It's a great people- and yacht-watching spot with stylish armchairs and sofas to lounge and reasonably-priced drinks and nibbles. A must try are the original cocktails created in-house using fresh ingredients, local herbs and homemade syrups such as cinnamon and rose. New items are introduced each season and all can be made virgin. Try the Lychee Fizz, Lemon Riddle or the Tequila Sin Nombre, a special creation of mixologist Frankito. There's food, too, with big tapas dishes that include Spanish, Italian, Asian and other world influences, plus vegetarian options. All range from €7 to €25 for a mega sampling platter. On the shisha menu, you will find a range of exotic flavours - try the Love 66 fruit mix. Mood lighting from dusk onwards welcomes you in as does the ambient soundtrack with funky jazz, chillout and deep house played till 01:00. On Thursdays, Fridays and Saturdays, a pole dancer puts on a live display for over two hours from 22:30. Its look, atmosphere and super-friendly staff make it the perfect place for both special occasions and regular nights out. Number 5 is a great choice for birthdays, a pre-dinner aperitif or pre-party drinks before hitting the nightclubs. The staff speaks English, Spanish, Italian and German and goes the extra mile to satisfy all clients' needs. From 23:00 the place gets busy, so call ahead and make a reservation if you want to be sure to have your spot.